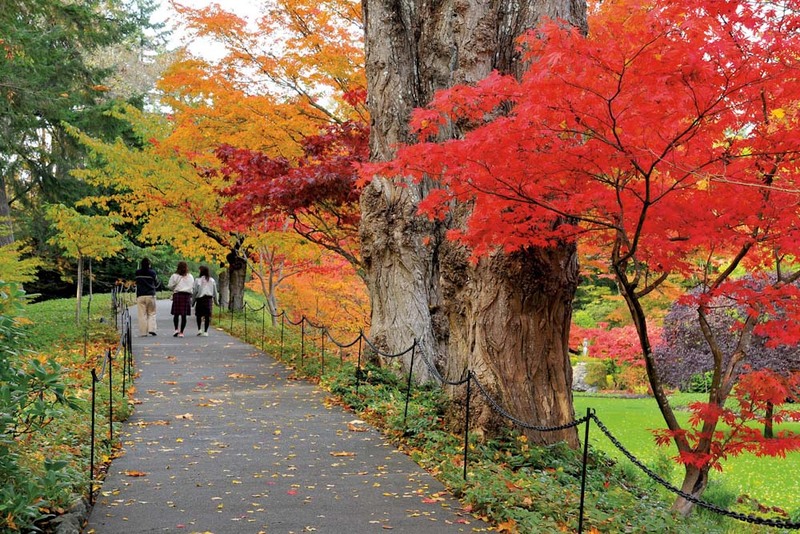 Japanese maples in Butchart Gardens, Victoria, Canada. 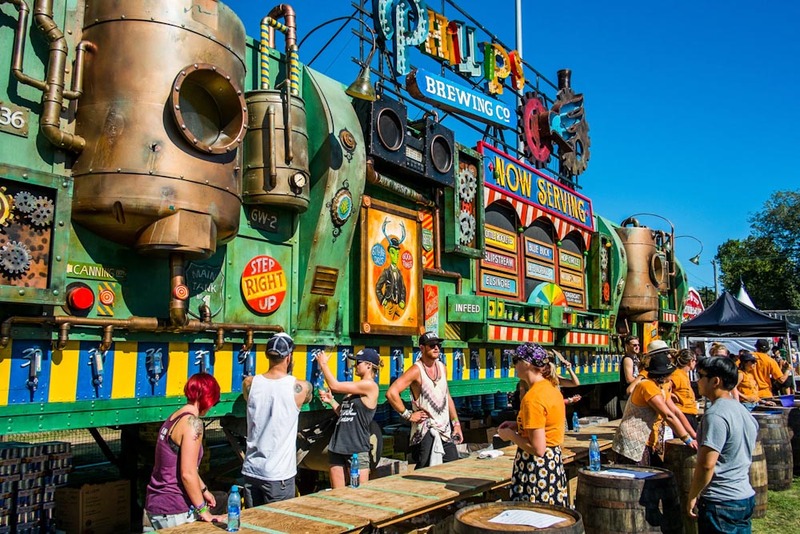 Mobile brewery at the Rifflandia Music Festival in Victoria, Canada (photo: Cyler Parent). 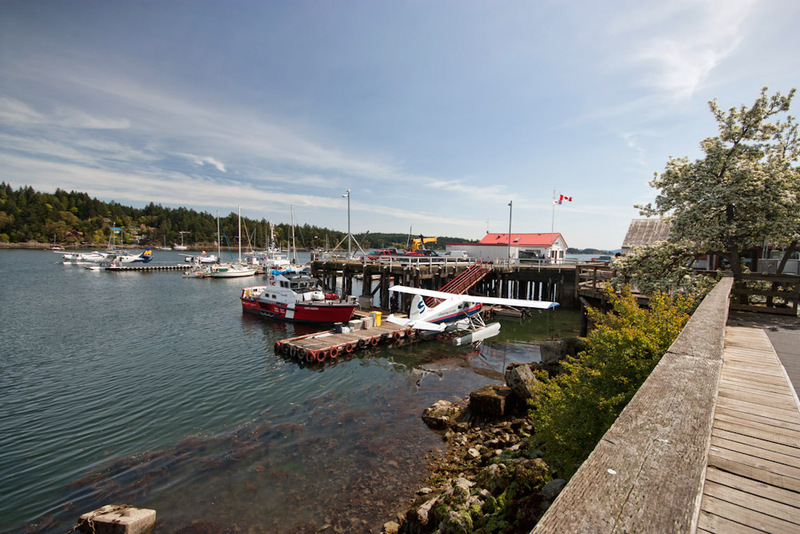 Board a ferry or a seaplane from Swartz Bay Terminal to get to Saltspring Island from Victoria (photo: Canadian Tourism). 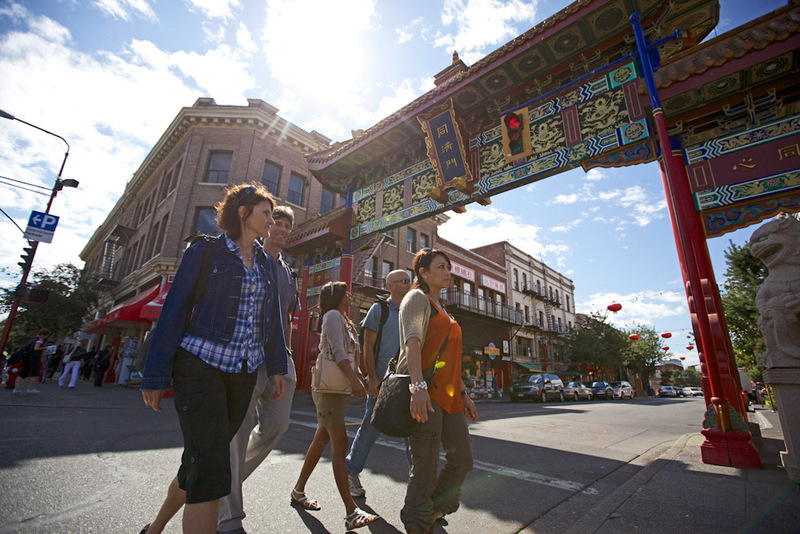 The ornate Gate of Harmonious Interest in Chinatown, Victoria, Canada (photo: Canadian Tourism). 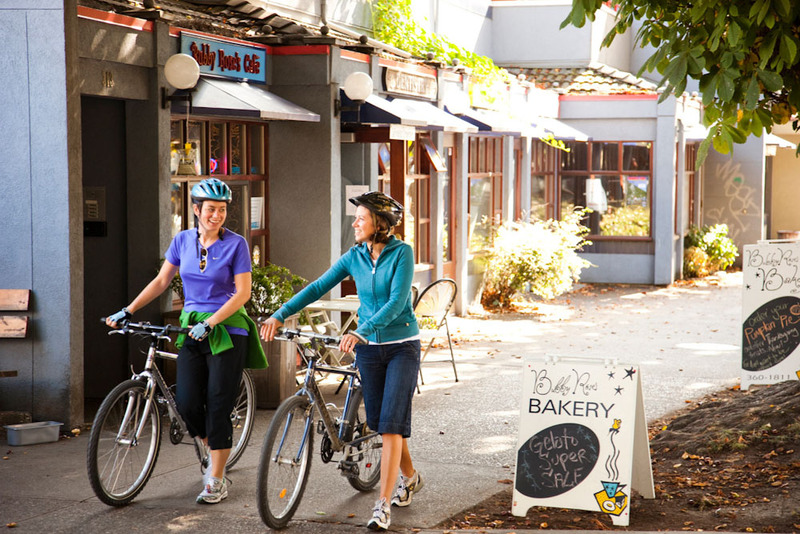 Leafy streets of Cook Street Village in Victoria, is perfect for a scenic stroll (Photo: Tourism Victoria). 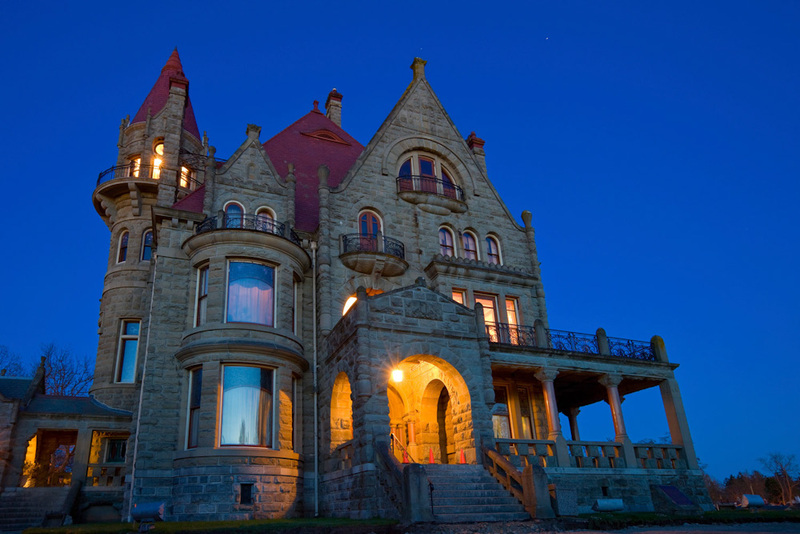 Craigdarroch Castle, the grand scottish mansion on the southern tip of Vancouver Island, Canada. 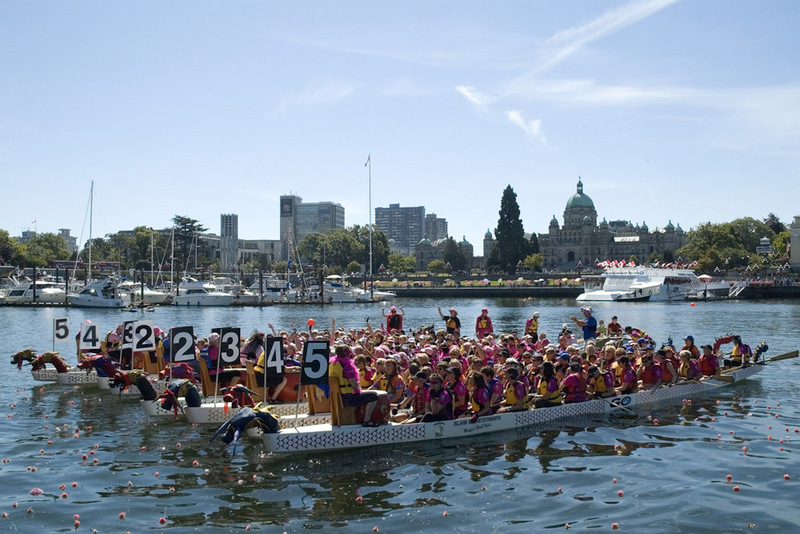 Preparing to race at the Victoria Dragon Boat Festival in Canada (photo: Royal Scot Hotel and Suites). 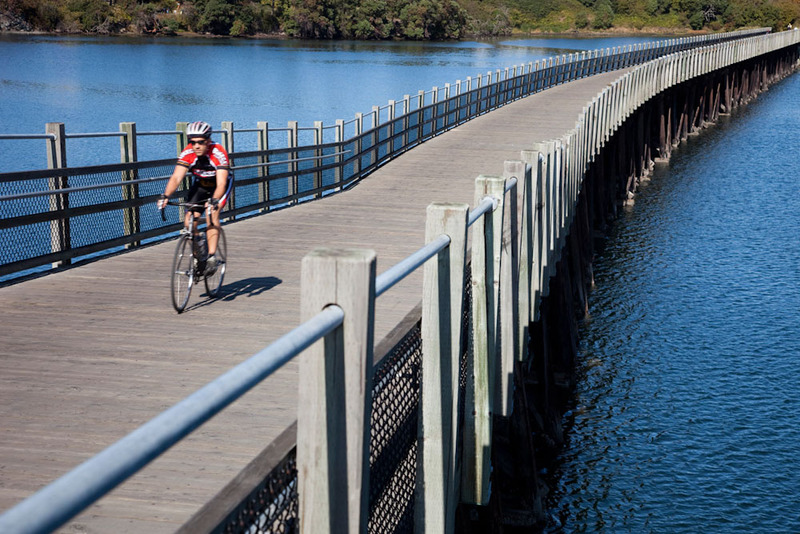 Cycling over the rebuilt Selkirk Trestle Bridge in Victoria, Canada (photo: Tourism Victoria). 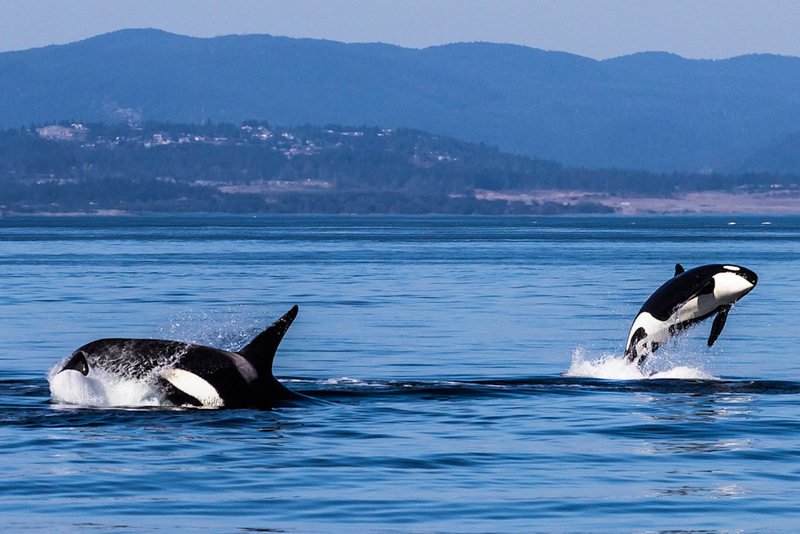 Orcas spotted from Salt Spring Island, Victoria, Canada (photo: Tourism Victoria). The very lavish Fairmount Express Hotel in Victoria, Canada. Canada’s Garden City is gorgeous all round, from its world-class floral displays and historical landmarks to its picturesque harbours and dramatic setting on the Juan de Fuca Strait; this is our Undiscovered Victoria City Guide. By Adam Bisby. Established in 1843 and named after the reigning British monarch, the British Columbian capital celebrates its UK roots like no other North American city. You can take a double-decker bus or horse-drawn carriage to landmarks like Craigdarroch Castle, a Scottish Baronial mansion that’s straight out of Vanity Fair. It all feels right at home here on the on the southern tip of Vancouver Island, what with the temperate climate proving ideal for another favourite British pastime: gardening. More than a million people visit the renowned Butchart Gardens each year, with more botanical marvels adorning the series of picturesque harbours around which Victoria is clustered. 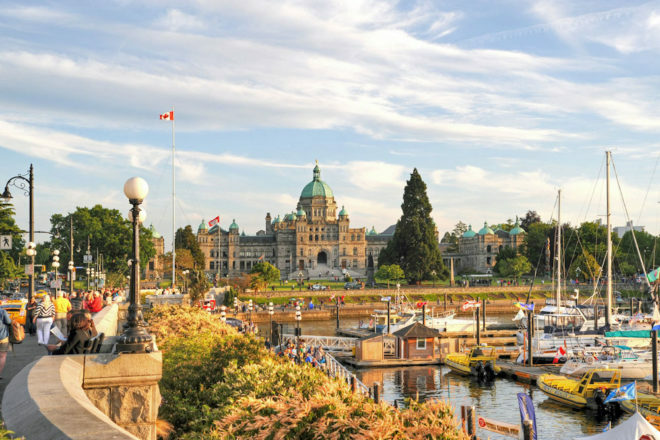 The innermost of these is home to both the neo-baroque British Columbian Legislature and the elegantly vine-covered Fairmont Empress hotel. Driving, biking or boating out of Victoria’s core, however, will quickly reveal that you’re nowhere near Britain. The rainforest-clad mountains looming over the water, and those killer whales cutting across it, can attest to that. The welcome signs at the edge of town call Victoria the Garden City, but it’s also well known as Canada’s retirement capital. That said, visitors expecting a staid, sedate destination will be surprised by the energy of the Victoria Dragon Boat Festival, the edginess of the Rifflandia music fest, and the exotic flavours of Canada’s oldest Chinatown, where the ornate Gate of Harmonious Interest leads visitors to the narrowest street in the land – and some delicious dim sum. The nexus of Victoria’s various casting-off points exudes stately elegance. There’s the aforementioned British Columbian Legislature and Fairmont Empress hotel, both with meticulously landscaped grounds, along with the more modern Royal BC Museum and Thunderbird Park, where 15 totem poles provide a more organic vibe. The vibe gets increasingly casual around the corner at Fisherman’s Wharf, where you can watch fishing boats unload their catch after coffee at Moka House or lunch at Barb’s Fish & Chips. Extravagantly draped over the northern outskirts of Victoria, this 22-hectare botanical wonderland is home to much more than flower beds. There are five main themed gardens – Italian, Japanese, Mediterranean and a rose and sunken garden – along with an ornate carousel, a Florentine piazza, totem poles, various dazzling water features including a bronze and granite dragon fountain weighing nearly three tonnes… again, there is much more than flower beds here. With many three-hour tours casting off from downtown, spotting orcas, humpback, minke and grey whales, along with harbour seals, sea lions and bald eagles, is near-effortless. There are almost as many tour types as there are whale species, with open-air Zodiacs and catamarans vying for customers with heated cabin cruisers and yachts. Some tours even let you eavesdrop on whalesong with hydrophones, and include an up-close view of Race Rocks Ecological Reserve, a small island with a historic lighthouse and countless seals and seabirds. Oh, those lucky Victoria commuters. The Galloping Goose cycle path – named after a gas-powered passenger car that ran on the former rail line nearly a century ago – passes pretty suburbs, then hilly farms, and finally verdant forest as it approaches Leechtown, a former mining hub of which little remains. Such is the trail’s easygoing appeal that several quaint bed and breakfasts have spring up along its 60-kilometre length, catering not to commuters but to visitors who eschew bus tours and taxi rides. The highlight? Crossing the rebuilt trestle bridge across the Selkirk Water, the bucolic continuation of Victoria’s Inner Harbour. There is a certain amount of local one-upmanship that goes on in regard to horticulture, which is why the private-garden outings offered by Victorian Garden Tours are so appealing. What goes on behind closed gates? These customised expeditions provide a guided sneak peek. The oceanside Beacon Hill Park packs an awful lot into its 75 hectares. The first is the world’s fourth-tallest totem pole, a 38.8-metre work carved by Kwakwaka’wakw craftsman Mungo Martin and erected in 1956. The second is a charming pebble bridge that’s a tribute to renowned B.C. artist Emily Carr from her sister Alice. It’s also worth noting that “Mile 0” of the Trans-Canada Highway is set in the southwest corner of the park. Fans of creepy-crawlies will be enthralled by the Victoria Bug Zoo. From giant walking sticks and praying mantis to tarantulas and glow-in-the-dark scorpions, visitors can learn about and even touch nearly 50 fascinating species. And don’t worry, picnickers: Canada’s largest ant colony is securely ensconced behind glass. Get up close and personal with Victoria’s lush foliage at Adrena LINE Zipline Adventure Tours, which offers two-hour treks through the coastal temperate rainforest southwest of town. The route includes eight ziplines, two suspension bridges and an exhilarating ATV ride, with evening zip-lining also available once a month. You can venture even further into the woods with one of the many hiking outfitters based in Victoria. Overnight trips to serene preserves such as Goldstream Provincial Park, one of more than 60 provincial, regional and municipal parks in the Greater Victoria Area, let you commune with nature in comfort. With three permanent galleries covering natural history, modern history, and local First Nations’ history, the Royal BC Museum lets visitors delve deeper into their destination of choice. The museum’s collections comprise approximately six million objects, with interactive exhibits including a woolly mammoth displayed in its ice age surroundings to a tar-scented trip on the HMS Discovery. Then you can stroll down the wood-cobbled street of recreated Old Town Victoria. The high arts may be more highly regarded in Victoria than anywhere else in Canada, with Pacific Opera Victoria, the Victoria Operatic Society, the Victoria Philharmonic Choir, the Canadian Pacific Ballet and Ballet Victoria staging more than a dozen productions each year at the Royal & McPherson Theatres. Away from the bustle of the waterfront, Fernwood Square radiates out from the intersection of Gladstone and Fernwood Roads, where the contemporary Belfry Theatre occupies a corner. The intersection sets the relaxed, welcoming tone, with other neighbourhood highlights including into Stage Wine Bar – a must before a performance at the Belfry – and Picot, a meticulously curated collection of handcrafted gifts, toiletries and housewares. Just east of Beacon Hill Park and running along its namesake thoroughfare, Cook Street Village is a tree-lined enclave of boutiques, coffee shops, yoga studios and restaurants. Indeed, if you’re looking for a relaxing, scenic stroll (with coffee and/or yoga mat in hand), there are few better options than heading south down Cook Street and turning in either direction when you reach the ocean. What do you get when you cross a light display worthy of Santa’s workshop with gardens straight out of Alice in Wonderland? The answer lies at Butchart Gardens, which hosts a spectacular Twelve Days of Christmas lighting display, complete with outdoor skating rink, leading up to the holidays. You haven’t really experienced Tchaikovsky’s 1812 Overture until you’ve seen it performed at Victoria Symphony Splash, which in early August features fireworks over a floating stage in the Inner Harbour. The stated goal of many hippies is to ‘get back to the garden (of Eden)’, which could be why so many of them stuck around on Salt Spring Island, the largest of the West Coast’s Gulf Islands. A scenic 35-minute ferry ride from the Swartz Bay terminal, Salt Spring is a haven for foodies and outdoorsy types alike, its organic wineries and farms supplying upscale restaurants and oceanside inns, while outfitters offer everything from sea kayaking and scuba diving to rainforest hiking and orca-watching. 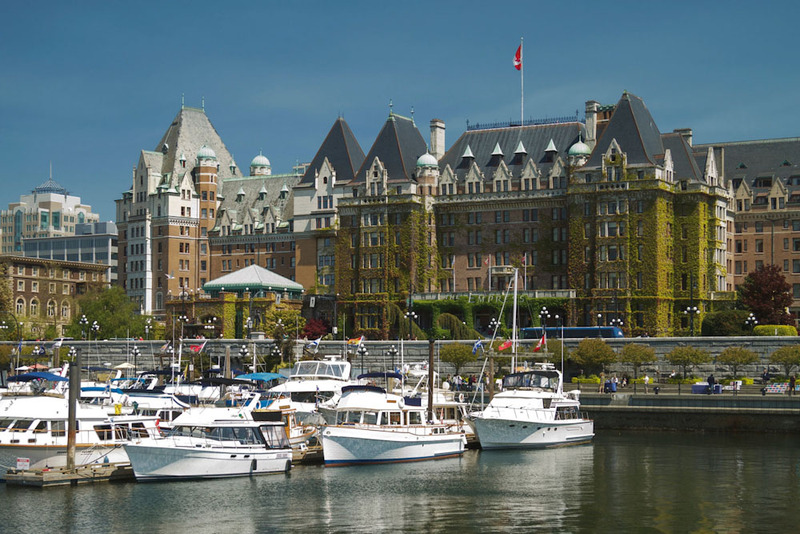 Luxury: Fairmont Empress Hotel – This National Historic Site of Canada features manicured gardens, lavish ballrooms, and elegant eateries such as the Bengal Lounge and Kipling’s, named after author (and frequent guest) Rudyard Kipling. Family: Inn at Laurel Point – 2.4 hectares of parklike grounds, an indoor pool and a wide range of room configurations steps from the Inner Harbour. Comfortable: The Oswego Hotel – A stylish boutique property ideally located between downtown and the Inner Harbor. Budget: Quality Inn Waddling Dog – Come for the hilarious name, stay for the solid value, free wi-fi and complimentary breakfast. Zambri’s: In a new location in the curvy Atrium Building, features classic Italian cuisine and an award-winning wine list. Bard & Banker: A lively downtown gastropub with an extensive whisky selection, dozens of beers and ciders on tap, and local live music. The Butchart Gardens – The Dining Room: Located in the original Butchart family residence, diners indulge in sublime garden views and contemporary, locally sourced fare.